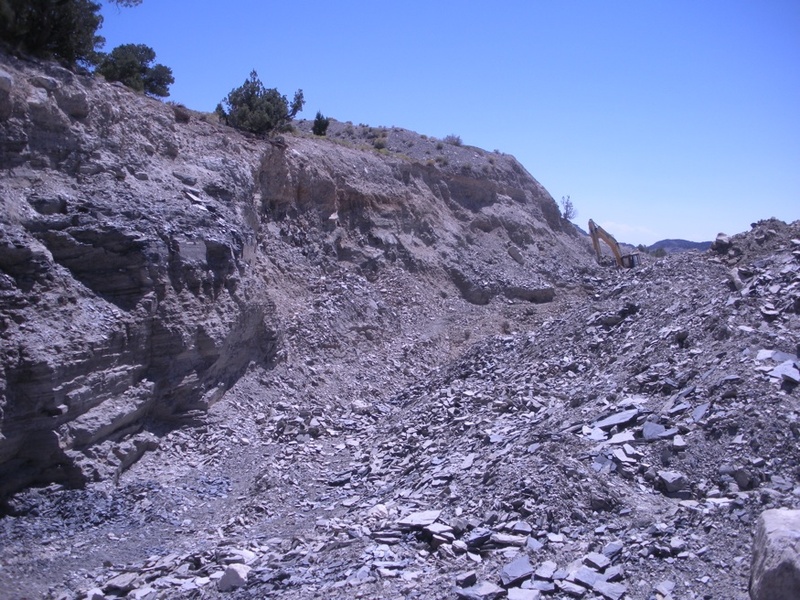 This is one of two quarries where you can dig trilobites for a fee. 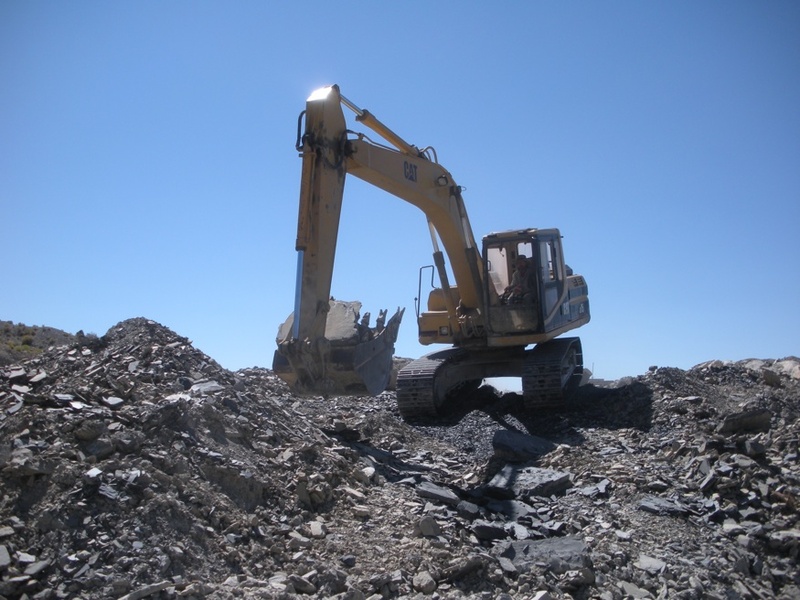 The other is the "U-Dig" site. NOTICE: I read where the "New Dig" site may no longer be in operation. I do not have confirmation, but I could not find a website for them. 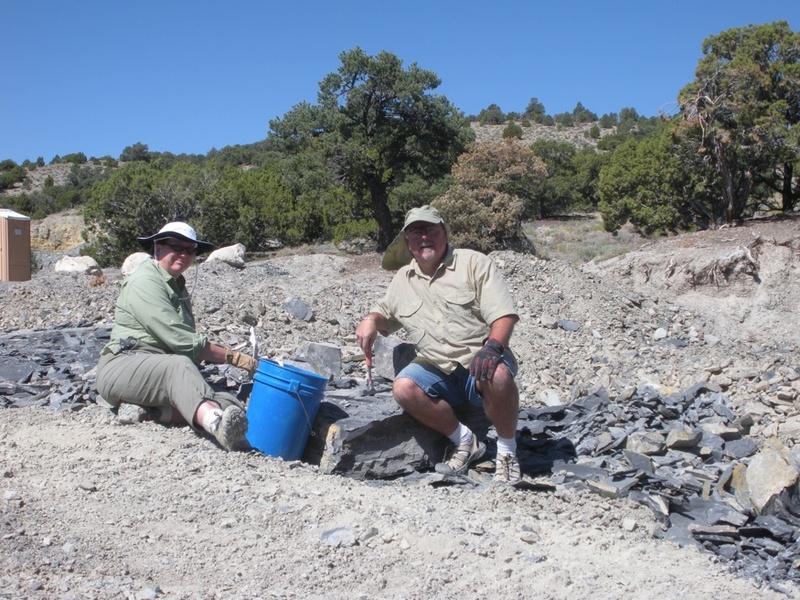 Both are located about 50 miles west of Delta, Utah. 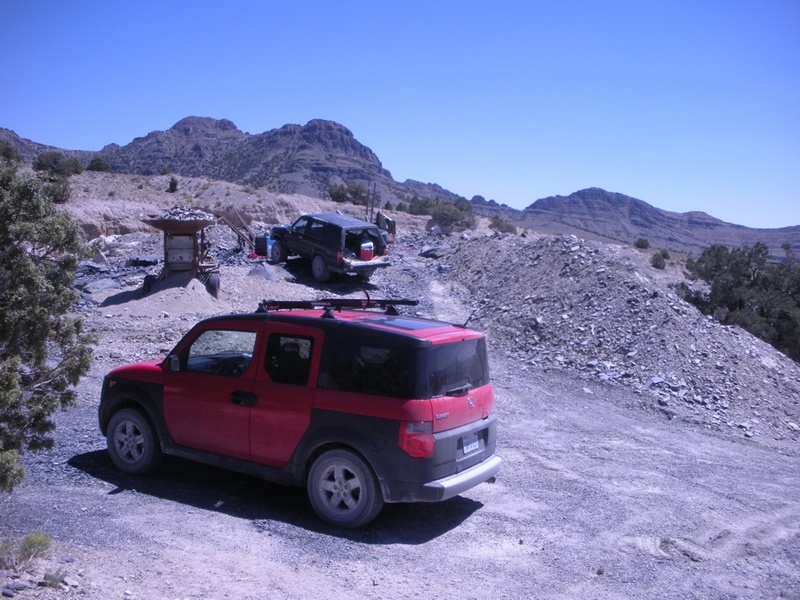 The road from Hwy 6 is gravel and dirt but was quite passable even in a passenger car. 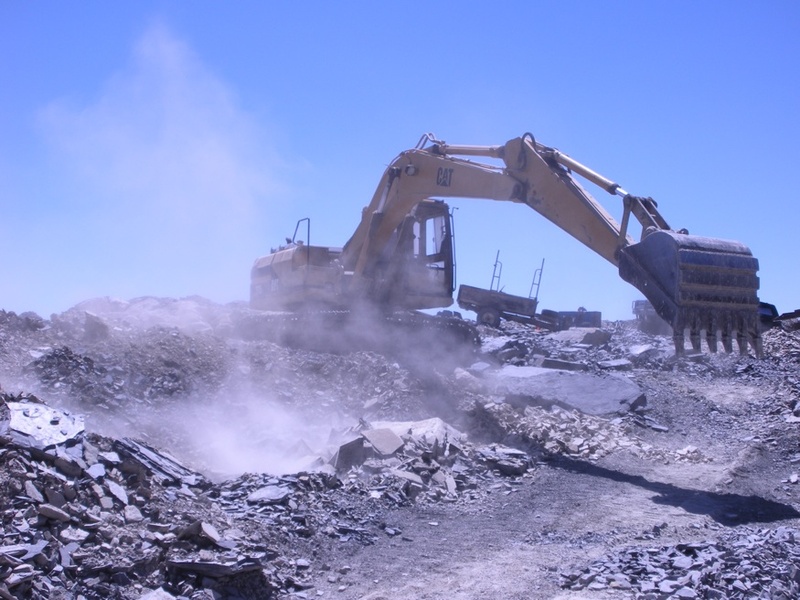 We opted for the New Dig quarry which is just up the hill past the U Dig quarry, arriving around 11:00 am. I flagged down Clay on his digger and he quickly fixed us up with a bucket and a spot. The price was $30 for four hours. you loads of different strata to peruse. I believe the U Dig folks operate the same way. All you have to do is to split, split and keep splitting. 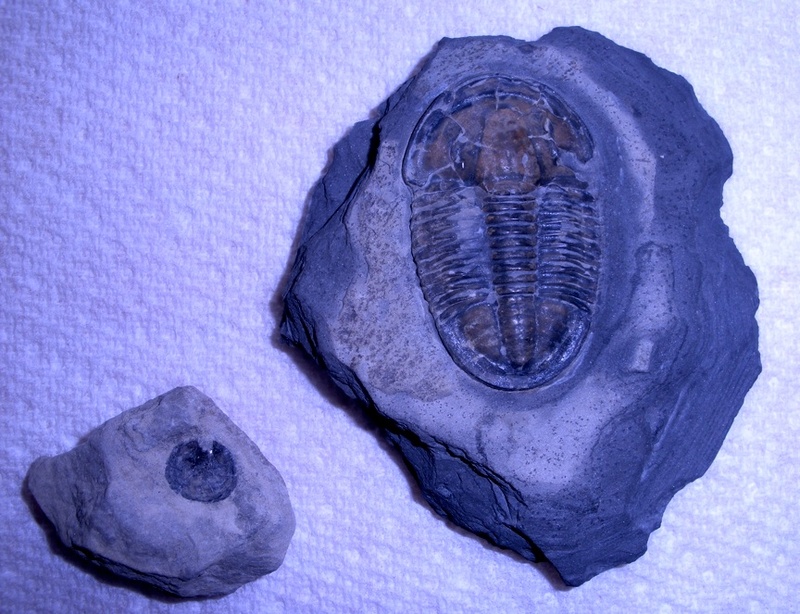 The trilobites are pretty easy to find in the rock. 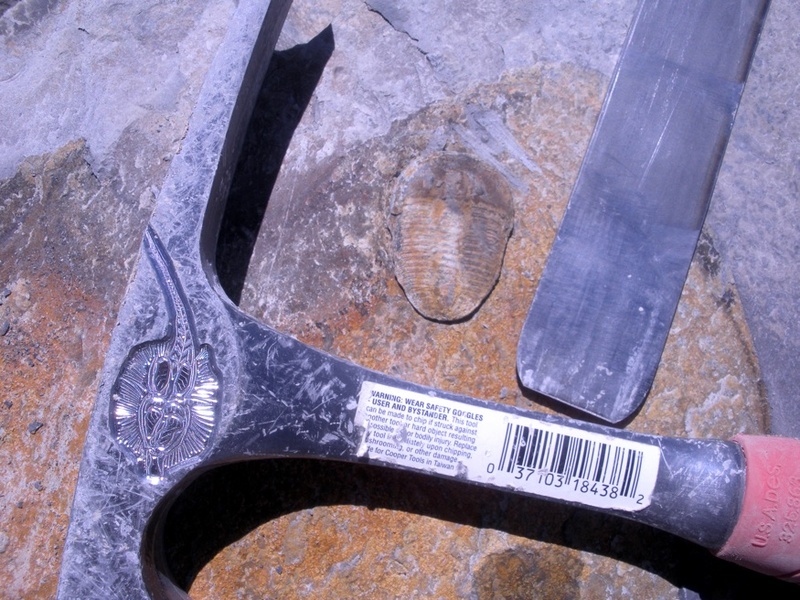 Virtually my first whack with a hammer exposed a trilobite. Do not spend time extracting the bug from the matrix. If you find one in matrix, put it in the bucket and move on. There is no real limit on what you can take home so there is no reason to be too picky. This is what happens if you try to reduce the matrix too fast. You break the bug. A chisel hammer, gloves and a chisel is all that you will need. Eye protection is advisable also. These came home with me like this. I extracted them from the matrix later under more controlled conditions. It was also like a bonus episode as I found a few more bugs in the left over matrix. 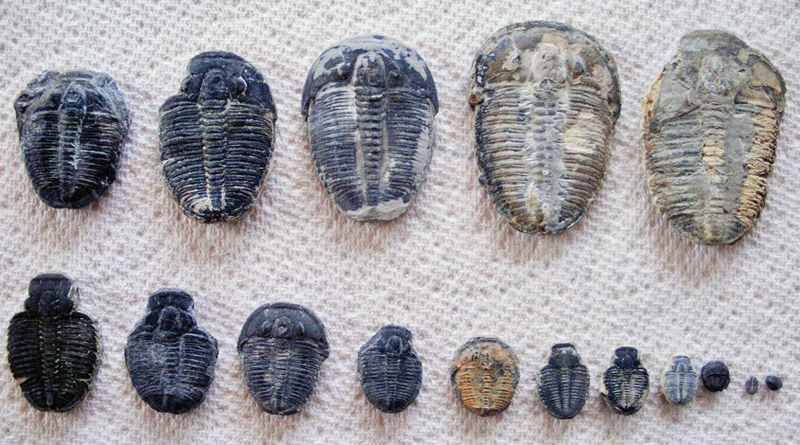 This is representative of the quality of the loose trilobites. 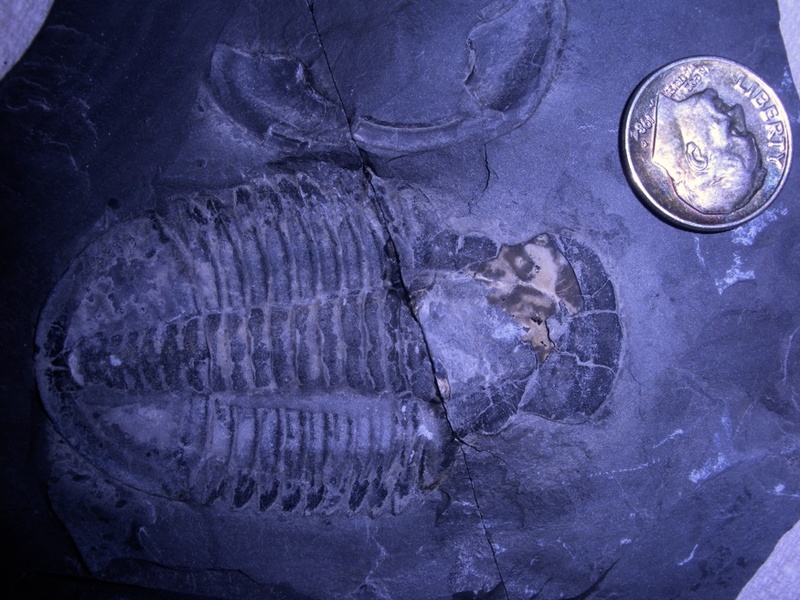 I spent some time excavating this trilobite with dental tools. The smaller piece what I recall is a brachiopod. 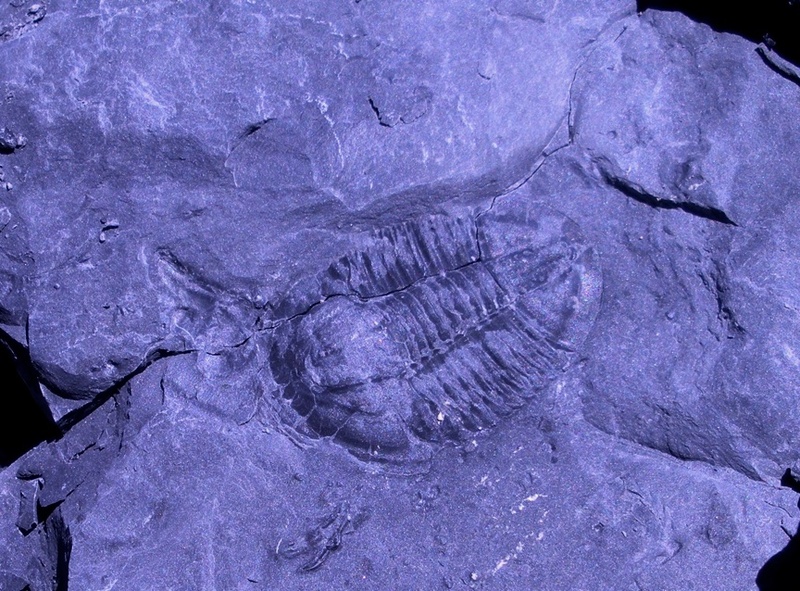 Interestingly, there were literally no other animals in the rock except trilobites. is the result of me trying to reduce the matrix in the field, a bad move on my part. Hence my stern reminder... Put it in the bucket and deal with it at home! 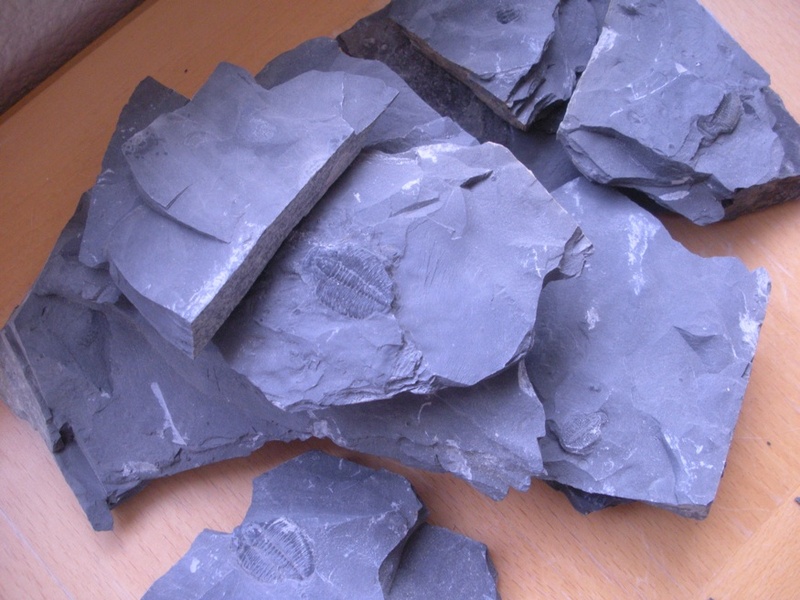 In a four hour dig, we found about 40 to 50 trilobites, ranging in size from microscopic to over 25 mm. We found samples of all three of the different common species including the little double ended Peronopsis. In retrospect, the quality of the loose bugs could be a bit better but we were satified with the results.